The MSBA Past Presidents Committee meets in the fall and the spring of the bar year to discuss issues of importance to the MSBA, including the future plans for Bar Headquarters, assistance to our new Executive Director, participation in special committees, and the continued involvement of Past Presidents in the ABA House of Delegates and the National Conference of Bar Presidents. 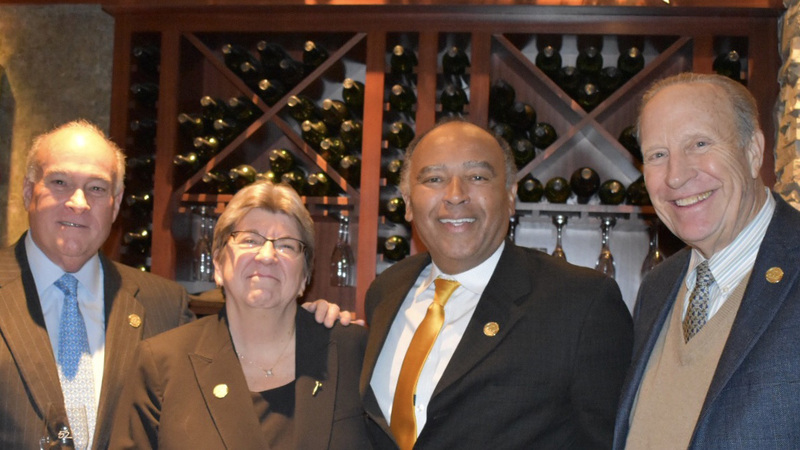 Nearly two dozen Past Presidents spanning three decades of bar leadership gathered on November 27, 2019, at Seasons 52 in Columbia, MD, where several also took part in giving archival video interviews recalling highlights from their time leading the Association. Committee Chair Judge Harry C. Storm presided over the meeting. Attendees included current MSBA President Judge Keith R. Truffer, President-Elect Dana Williams, and Immediate Past President Sara H. Arthur.